1. Alexander the Great was a role model for Cleopatra and Mardian. Do you think that such figures are helpful for children struggling with unhappy lives? Who would you select as your own role model, or one for your children? 2. Caesar seemed to have few human weaknesses beyond his epilepsy: He was always calm in a crisis, never lost a battle, and seemed to need no one. Do you find such a person attractive or otherwise? 3. In some ways Caesar may have been a man ahead of his time–open to new ideas, customs, and people. Do you think his idea for a multinational empire was feasible at that time? Was resistance to his plans one of the factors in his assassination? 4. After Caesar’s death, Octavian’s future looked bleak, while Antony had enormous power. Why was it Octavian who ultimately triumphed? 5. Cleopatra’s reputation as an extravagant voluptuary owes much to stories like the time she met Antony in Tarsus, in a ship with perfumed sails, and drank the pearl dissolved in wine. Do you view such gestures as expressions of her personality, or as business investments—theatrical statecraft designed to promote an image? 6. In her heart, had Cleopatra already decided to seduce Antony when she set out for Tarusus? Was it passion or politics that drew her to him? Is there anything to the accusation that she was attracted only to married Romans with power? 7. In Cleopatra’s relationship with Caesar, he was the dominant one, while with Antony, she had more power. What qualities did each man bring out in her, and which relationship suited her better? 8. Antony exalted his lack of moderation as part of the Dionysian ideal. Shakespeare stressed the noble aspects of that trait, including great generosity of spirit, whereas Antony’s enemies in Rome said he was debauched and weak. What do you think? Was it his character—or his bad luck—that condemned him to failure? 9. Octavian declared war on Cleopatra, rather than Antony, ridiculing her foreign ways and declaring, “We must allow no woman to make herself the equal of a man.” In our day, many women applaud her for “making herself equal to a man,” and her exoticism appeals to us. At the time, were Octavian’s charges grounded in any facts at all, or just politically expedient propaganda? 10. 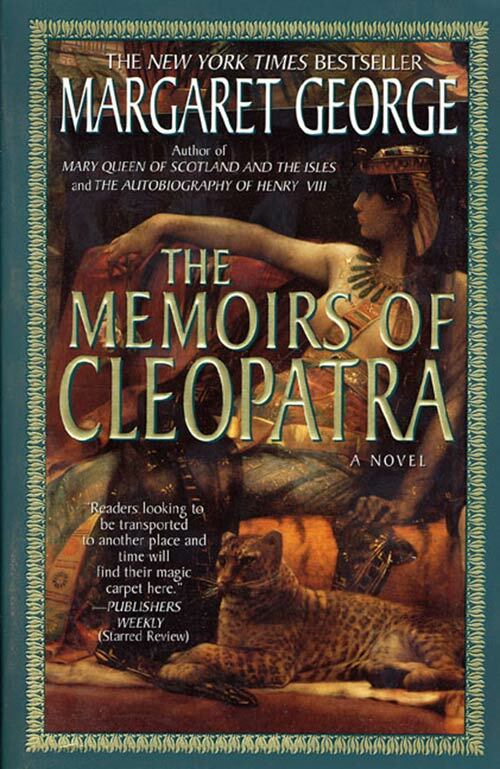 After the defeat at the battle of Actium, Cleopatra hid the truth from her people, to gain herself time. Was this a wise move, or does it prove that the Romans were right to condemn her as duplicitous and scheming? 11. “He must die as a Roman, I as an Egyptian,” Cleopatra says. How did the deaths they chose reflect their different cultures? Why do you think Antony’s was soon forgotten but Cleopatra’s has become legendary? 12. 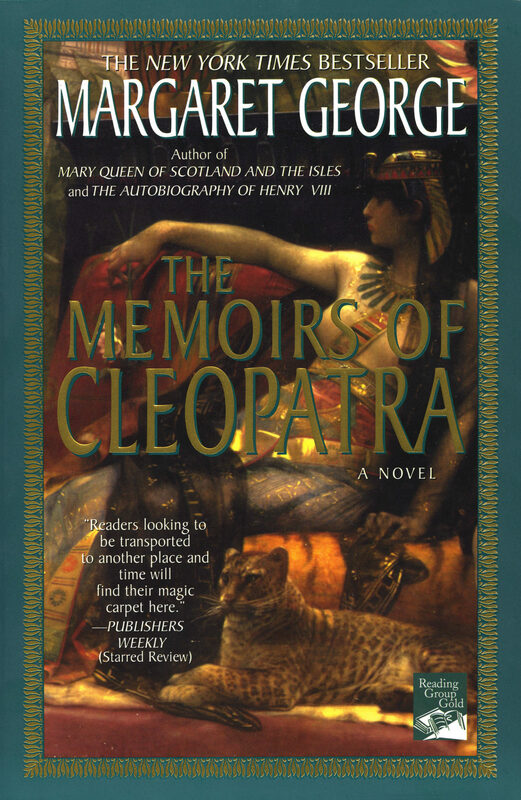 “I had tried so many plans, staked myself so many times, gambling on this action or that.” What do you think of Cleopatra’s willingness to take risks? Do her risks remind you of any chances you have taken, even if entire kingdoms were not at stake?